Shinco India has launched 65-inch 4K Smart LED TV after launching 55-inch, 49-inch and 43-inch smart TVs line-up last year. It has Quantum Luminit display with 95% Wide NTSC Color Gamut, HDR10 and 10-bit display. It has “Air Click Remote” designed with a QWERTY Keyboard, which allows seamless operations possibly from any corner of the room. It runs Android 7.0 with, has 20 Watt Sound Bar powered with Boosted Tweeters, comes with 1 GB RAM, 8GB storage, Bluetooth,3 x HDMI,2 x USB,Ethernet and more features. It has ‘Voice Recognition’ that allows the users to command the TV via the Sensy Remote App installed on the user’s smartphone. 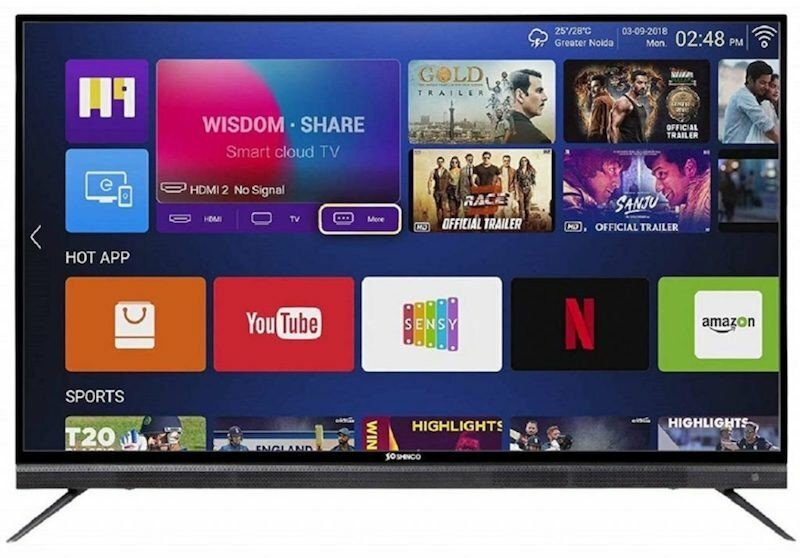 The Shinco 65-inch 4K LED Smart TV is available on Amazon.in for 49,990 and will be available under this price till 23rd January post that it will be revised to Rs. 59,990. The company said that it has over 800 service centres across India. I believe the bigger screen size amplifies the users’ viewing experience. With a debut in the big screen size market with our 65-Inch variant at competitive pricing, we aim to cater to the needs of our valuable customers across India. And, overall with the enhanced specifications, we aim to provide an amazing immersive viewing, sound and smart experience for our customers.